Last week the team had the rare treat of spending four days with other humans beyond the walls Gaines! It was incredible: we played games with more than four people, and shared dinner with people we didn’t even know the names of! There was an endless supply of tea, coffee and hot chocolate and countless games of Ligretto. We watched Finding Dory and lost at a quiz… but it was all OK because the bar was open till 11! 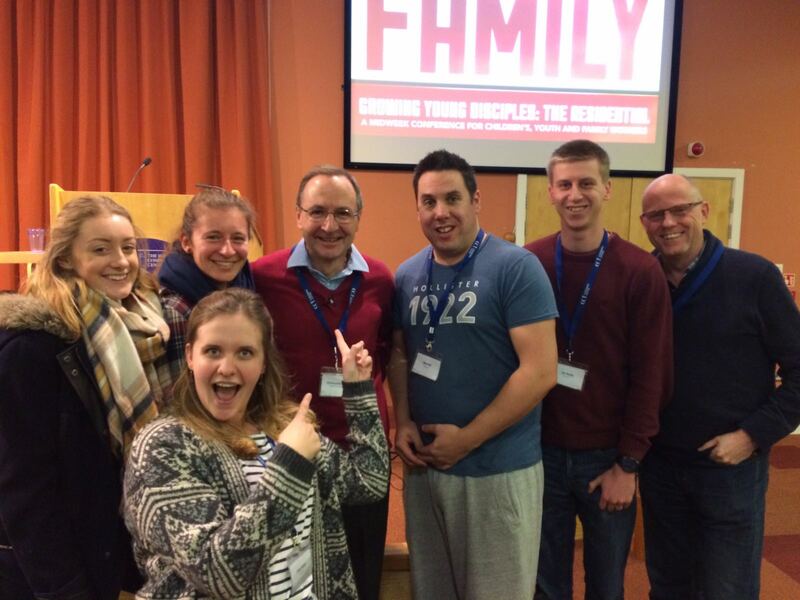 In all seriousness, Growing Young Disciples: The Residential was a wonderful opportunity to spend time with new people, people who totally ‘get it’! They know both the trials as well as the joys of working with difficult youth. They know the struggles of teaching kids about Jesus, and they know the delight that comes with seeing lives changed. Christopher Ash spoke in the mornings on our Forever Family, and explained how every family on earth derives its name from our heavenly Father – who, by the way, is the best father a man could wish for. God is the original, the creator of Fatherhood. He also spoke on the commandments, ‘do not commit adultery’ and ‘honour your Father and Mother’ – they’re definitely not as simple as you might think! – and he reminded us of our failure and God’s Grace. Then we dipped into Proverbs to see the wise words of God as spoken through a godly parent. He delivered a really helpful session about the wonderful comfort it ought to be to have brothers and sisters in Christ, and the practical ways that should show itself day by day. Finally, we heard about the order of creation, the claims of Christ and a Zeal for the gospel. ‘Fellowship in the gospel is where we find our deepest relationships’. There were optional seminars to attend on ministry, leadership and theology, and these were packed to the brim with helpful, practical ways of working with children and youth. But overall, I have to say, my favourite part of the whole conference was a seminar on ‘Youth Evangelism – capturing the imagination’ led by Nate Morgan Locke. It was an inspiring seminar on the use of storytelling in evangelism, and truly was fascinating! But this would not be a worthy blog about the conference if I didn’t at least mention the food! It really was to die for, I definitely cannot complain. What’s there to complain about when you’re being given three cooked meals every day (and pudding)! Camp XL Ltd, registered in England & Wales (No. 5618893) | Registered Charity (No. 1112693) | Gaines Manor, Whitbourne, Herefordshire, WR6 5RD | © Camp XL 2018.